Successfully Added Xiaomi Mi5 Smartphone - Qualcomm Snapdragon 820 CPU, 5.15 Inch Screen, 4G, 16MP Camera, 3GB RAM, Dual-SIM (White) to your Shopping Cart. Being tested as one of the fastest smartphones on the market the Xiaomi Mi5 truly is a remarkable device that puts other flagship smartphones to shame. Featuring a ridiculously fast Qualcomm Snapdragon 820 CPU with 3GB of RAM and the stellar Adreno 530 GPU the Xiaomi Mi5 boasts some of the most powerful hardware out there and is guaranteed to run all the latest Apps, demanding 3D games, and FHD movies like it’s nothing. If you are searching for a smartphone that is capable of dealing with literally anything, the Xiaomi Mi5 is the perfect choice for you. Although this Chinese smartphone packs some of the most powerful hardware out there, Xiaomi has managed to keep its design light weight and remarkably sleek. Weighing less than 130 grams this smartphone outperforms most of the other flagship devices yet it is more compact and weights less as its Apple and Samsung competitors. With its beautiful and carefully crafted sleek design the Xiaomi Mi5 truly is a phone that will turn some heads. By holding two SIM cards and featuring 4G connectivity the Xiaomi Mi5 provides you with the highest connectivity one can wish for. Its wide array of sensors furthermore proves that this device is more than just the regular smartphone. A proximity sensor, magnetic field sensor, or gyroscope sensor, just name it and this high-end smartphone will have it. Holding a magnificent 16MP camera that is capable of shooting video’s in 4K quality additionally gives you the possibility to capture all your unforgettable moments in stunning quality and to share them with friends and family for years to come. 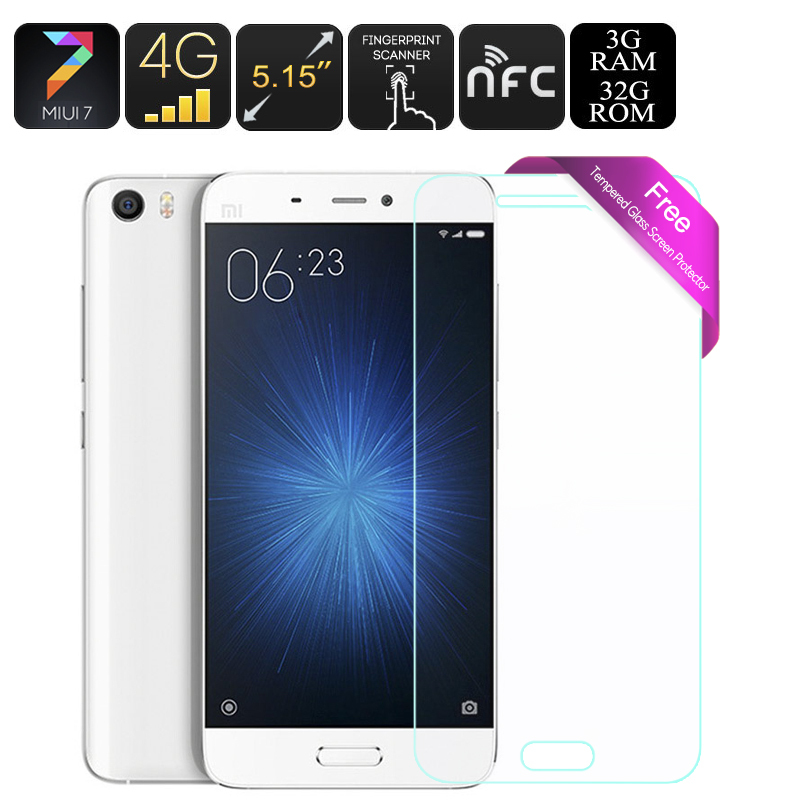 The XiaoMi Mi5 Android Smartphone comes with a 12 months warranty, brought to you by the leader in electronic devices as well as wholesale electronic smartphones..